Grower – Package Containers, Inc.
You’re proud of your harvest, why not promote it. PCI ties are designed to be customized with your brand and message. We also offer customized bags for roadside sales. 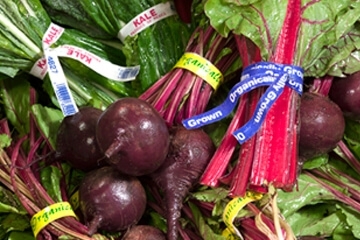 Promote your brand and advertise your farming certifications such as Organic and Non-GMO with ties from PCI. Available in different sizes and up to four-color printing. 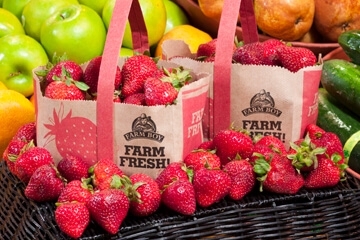 Protect produce by reducing exposure to insects, field soil, and dust. 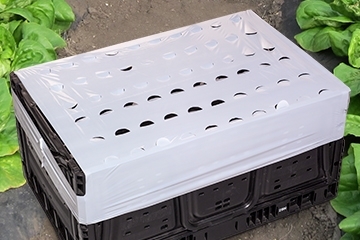 Most importantly, the flexible white polyethylene covers blocks the sun’s rays, keeping produce from drying out. Application is simple and quick – just an easy stretch over the corners of the RPC. 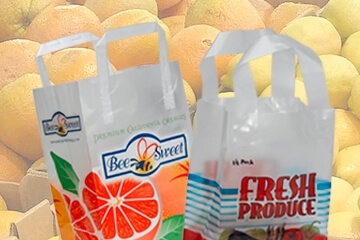 Lightweight, durable and always cost competitive– PCI has been a leader in grocery merchandising and roadside packaging for years. Our Grab N’ Go bags come in a variety of sizes and can be printed with up to 4 color process. Our reusable and recyclable poly bags come in a variety of colors, shapes, and sizes in both non-woven and smooth polyethylene. Every wine tells a story, so why not continue the conversation with branded wine bags that captures the unique character of your vineyard. PCI can help you craft a look and feel that is as distinctive as your vintage.